Flip a coin. Keep flipping until landing on tails, multiply by the number of heads. 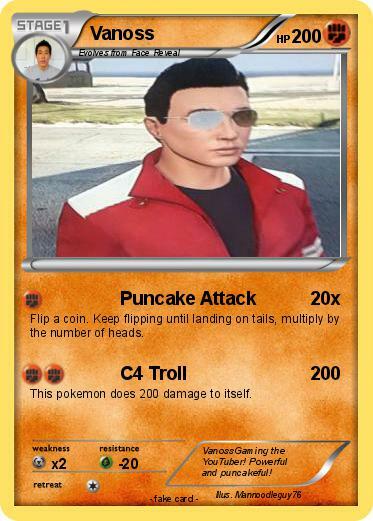 This pokemon does 200 damage to itself. Comments : VanossGaming the YouTuber! Powerful and puncakeful!